HARE KRISHNA..Participate in this quiz and win free books. Please read the rules carefully before answering. 1. Who is Sri Caitanya Mahaprabhu ? 2. Mention 3 other names of Sri Caitanya Mahaprabhu ? 3. All answers must be messaged (inboxed) to us in our FB page only. Only answers provided in our FB page inbox shall be considered. 4. Please also inbox your name, detailed address, and phone number along with your answers, so that we can deliver the book to you, in case you are selected as the winner. 5. 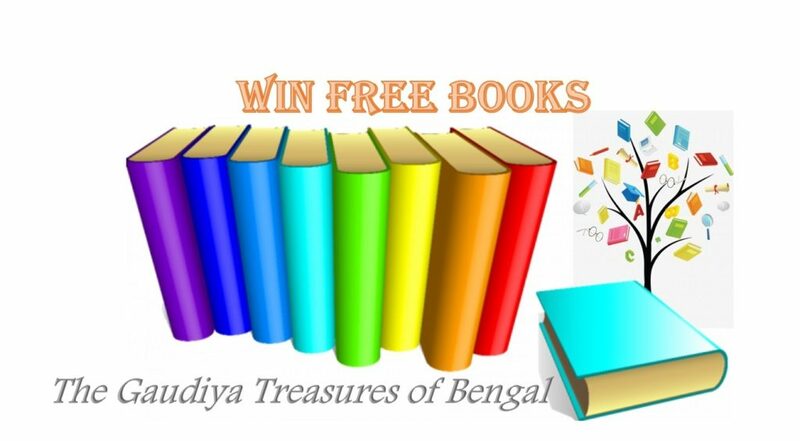 The candidate must share the link of this page (https://www.thegaudiyatreasuresofbengal.com/2018/10/26/participate-quiz-win-book-free/) in his/her FB wall. 6. We shall get in touch with you in Facebook, in case you are selected as the winner. 7. Winners shall be selected based on the number of answers they have correctly provided and how well they have answered the descriptive question.